In New Power the authors describe a new mindset for action with the new tools and communities that digital connections enable. New Power dynamics embrace openness, storytelling and self-organization. In in this series I write about my experiences launching my company Next For Me. Next For Me publishes news and resources for 50+ audiences. We host events across the country to discuss work, our communities, and what’s next. I attended Encore.org’s 20th Anniversary Summit in Los Angeles last week. Next For Me has recently become an Encore Partner. Encore exists to activate intergenerational connections. 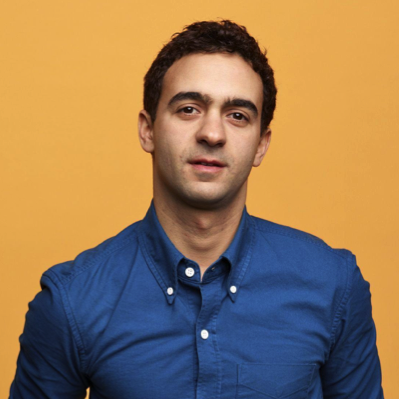 One of the speakers was Jeremy Heimans, co-author of ‘New Power: How Power Works in a Hyperconnected World and How to Make it Work for You’. His TED talk is worth a watch for a 15 minute download of what he and co-author Henry Timms define as a framework for activism in this time. Purpose builds and supports movements to advance the fight for an open, just, and habitable world. In the book they describe a new mindset for action with the new tools and communities that digital connections enable. New Power dynamics embrace openness, storytelling and self-organization. 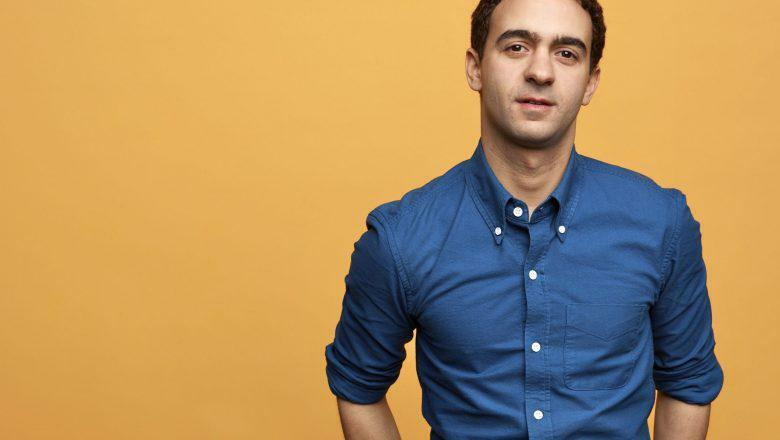 As examples, they present use cases including LEGO’s turnaround strategy of welcoming it’s global community of fans, Airbnb’s power flip-flop to the hospitality industry, and the urgency and quick-spreading of the #MeToo and #BlackLivesMatter movements. 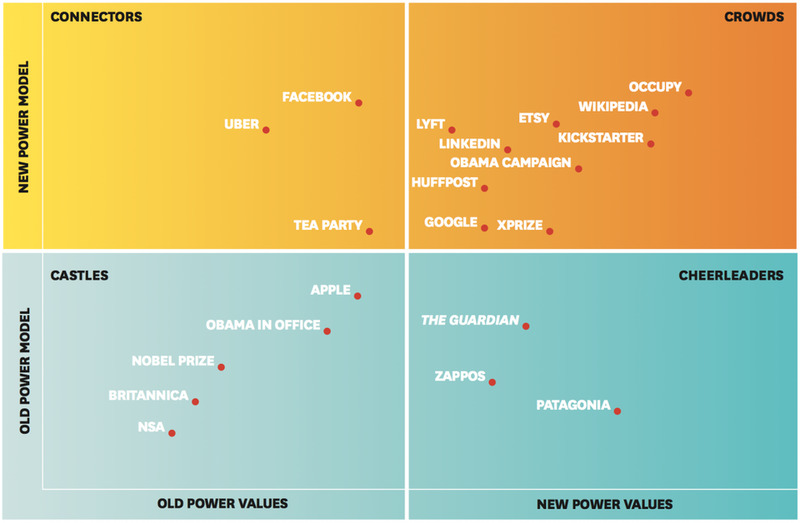 They define the differences between Old Power Values and New Power Values in this chart. They further illustrate where many of today’s highly visible organizations fit into the matrix of old and new power models and old and new power values. Within the old model, there are those ‘castles’ which stay firmly in the old models of power and control. There are ‘cheerleaders’ who have old power roots but have embraced some new power values. Within the new model there are ‘co-opters’ who use old power values with a new power leaning. Or, our favorite, the pure ‘crowds’ who use new power models and values. In the appendix to the book there is a glossary of terms that help define New Power. One that stood out and is aligned with Next For Me’s guiding principles and mission is ‘Camel’. Camel: A new power platform or organization that delivers economic returns that are less spectacular than those of it’s alter-ego the ‘unicorn,’ but serves an important social function and can sustain investors and its community for the long term. That’s us! Our goals are lofty and serve society, but at the same time we are without a doubt a for profit business. We might not be the next BuzzFeed or Huffington Post, but there are plenty of paths for us to be very profitable, to give a return to our investors, and to continue doing what we’re doing for a long time. Yes, I’m really into the book and think that it makes sense for social entrepreneurs and other businesses that want to understand the new way of doing things. While I tear into the book a little further, I have found a few tools which we’ll put to work immediately, including a ‘Decision Tree’ to understand when, and whether, to turn to new power. More on this in the next post. To find out more about New Power visit the website. Jeff Tidwell is the founder of Next For Me, a resource on work, finance and community for our 50+ generation. In this series he covers the experience of starting his new company.